John Nemo and I first met in the lobby of the Coeur d’Alene Resort. Immediately, we had a solid connection. I knew I would learn plenty from John, but I did not realize how much I would enjoy spending time with him. 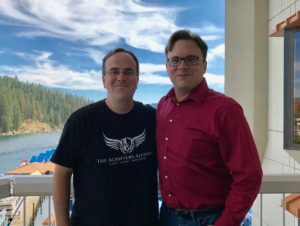 John is the author of LinkedIn Riches, but I learned about the value of connection from John before I learned about LinkedIn. Speaking of LinkedIn, check out John’s LinkedIn Webinar. John taught me the more we can relate to each other as human beings, the quicker we can begin to know, like, and trust each other. Once that happens, we can begin to help people. John admits his online profile doesn’t match who he is as a person. Look at his LinkedIn Profile photo…he looks like a banker who spends his day analyzing credit risk. But that is not John Nemo at all. In this episode, John tells us to make sure your online brand matches who you really are. You will be impressed with John’s story of leaving behind a successful job to launch his own business. Once he mastered LinkedIn, he began to reach out to help A-List entrepreneurs with their LinkedIn profiles. John has personally rewritten LinkedIn profiles for Chris Brogan, John Lee Dumas, Bob Burg, Jairek Robbins, Dan Miller, Ray Edwards and many others. Pay attention to how John approached these people to show he was worth their time and attention. Once he had written winning profiles for the A-List Entrepreneurs, they began to promote him. Now, John helps people like you and me win on Linkedin. 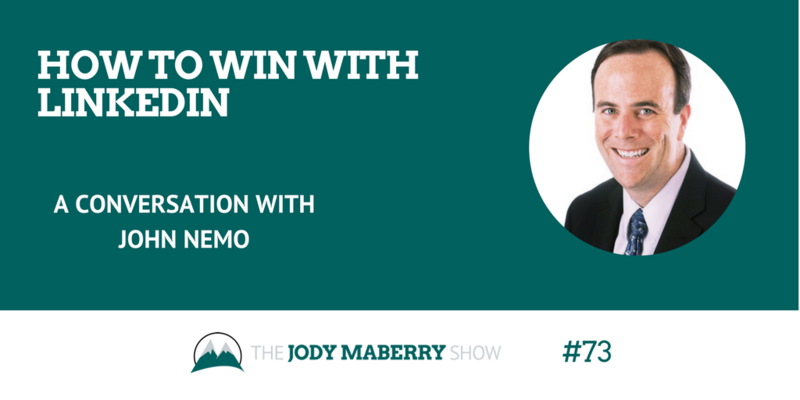 Don’t miss the opportunity to join John on this FREE webinar to learn more about how to win with LinkedIn. You can SIGN UP here. You can get a free copy of John’s book, LinkedIn Riches HERE. This book is so helpful to get you started on the right path for a better LinkedIn profile. Check out this photo of John and me together. You can tell we were separated at birth, right?